Today the King County Traffic Safety Task Force is meeting at SeaTac City Hall. The primary focus of the meeting will be Distracted Driving Enforcement and Education. Distracted driving is a growing problem in King County, Washington State, and across the country. Distracted driving causes more than 5,000 deaths each year. Using handheld devices makes you 4 times more likely to get into a serious crash. Eighty-two percent of fatal distracted driving accidents involve eating, drinking, grooming, reading, using a navigation system or making adjustments to entertainment systems (radio, iPod, etc.). 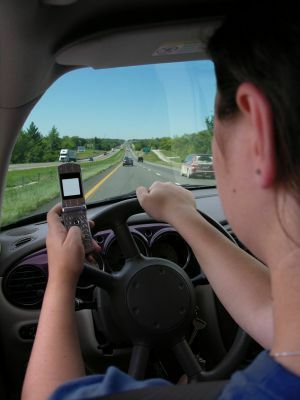 While 18% of fatal distracted driving accidents involve the use of a cell phone. At Davis Law Group a large percentage of the rear-end accident cases involve a driver caused a distracted driving accident by failing to stop because he/she was talking on a cellphone or driving while texting.